When the original Upstairs, Downstairs ended in 1975, the world wanted more. 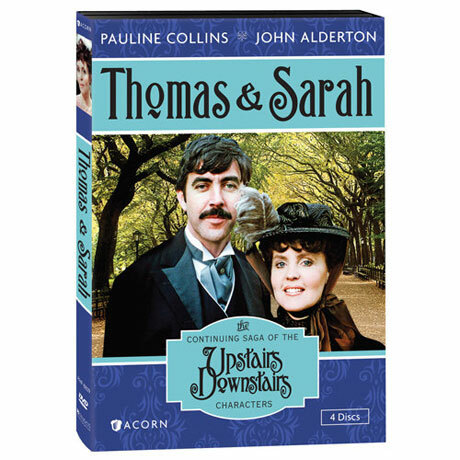 Starring reallife couple John Alderton (Little Dorrit, Calendar Girls) and Oscar® nominee Pauline Collins (Shirley Valentine), seen on public television, Thomas & Sarah reunited fans with two of the series' most colorful characters: the wily chauffeur and the sassy Cockney parlor maid. No longer in service, they embark on adventures of smuggling, matchmaking, cons, and the ups and downs of their own star-crossed romance. 13 episodes, 11 hrs, 4 DVDs, SDH.